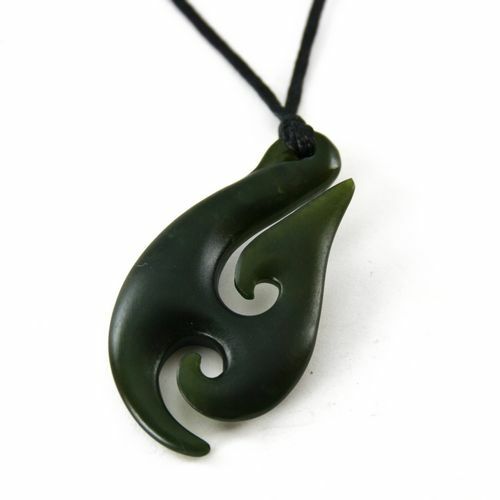 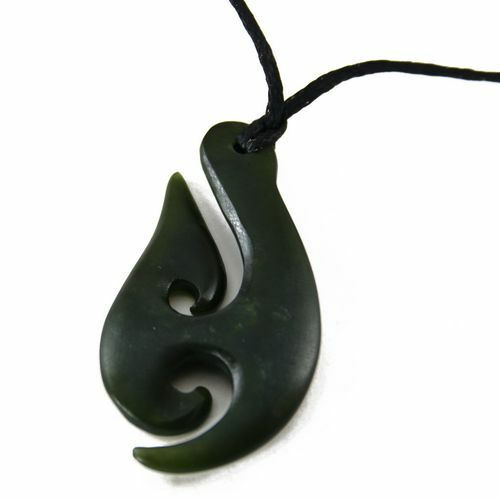 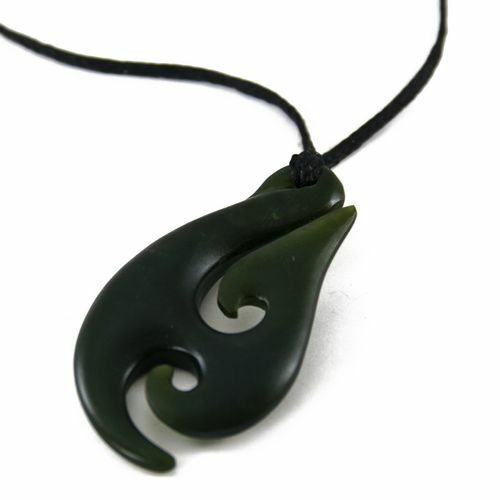 A traditional teardrop pendant which is known to the Maori of New Zealand as the Matau or Fish Hook. 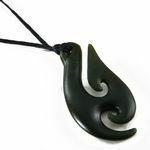 The Matau is said to represent the search for knowledge/matauranga and have a contemporary connection to good health and safe travel over water and has a connection to Maui who with the sacred knowledge of his ancestor left Hawaiki and discovered Aotearoa, New Zealand. 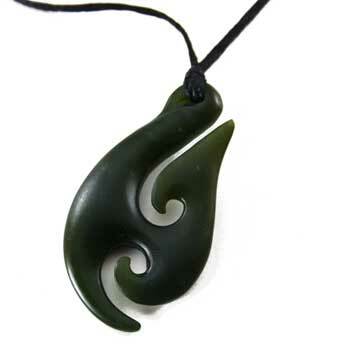 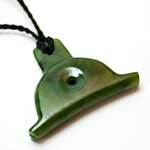 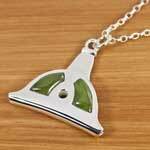 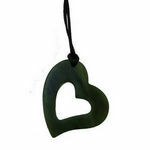 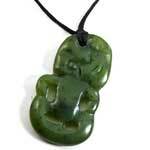 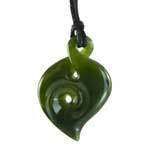 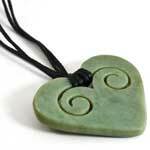 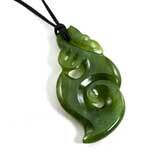 This pendant is carved from Kawakawa greenstone / Pounamu. 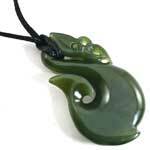 Kawakawa greenstone or Pounamu gets it names from the pepper tree leaves which this greenstone look similar to. 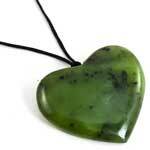 Greenstone is regarded as the stone of the gods by the Maori of New Zealand. 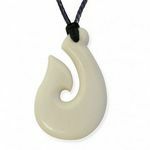 This fish hook is a one off unique piece and has it's own individual code to trace it's history and will not be available again. Every piece of pounamu has a story. 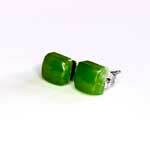 With these pieces you can find out yours. 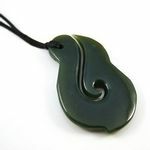 Ngai Tahu, the kaitiaki (guardians) of New Zealand greenstone, have developed a system for verifying the authenticity of every Pounamu item they carve. Along with this pendant you will be given a unique code which you can enter on a special site online and find out about this pendant's source, stone and region, it's whakapapa (history & genealogy), and about the artist that carved it. 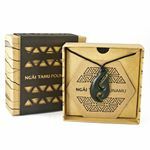 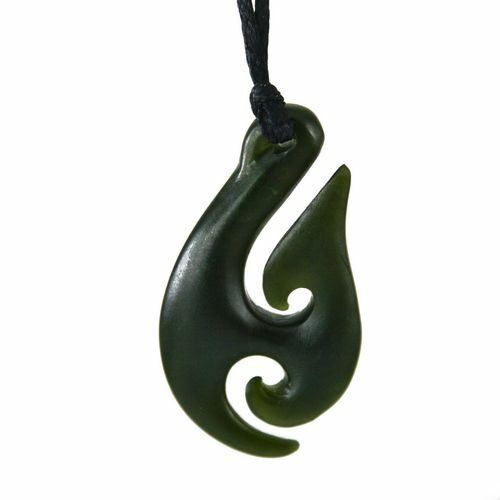 By buying this authentic Ngai Tahu Pounamu piece, you can be sure that you are buying genuine New Zealand jade (rather than imported or black market Jade). 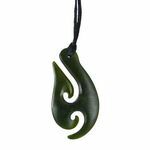 It also guarantees that the Pounamu has been extracted by legitimate means, and treated using appropriate cultural values. 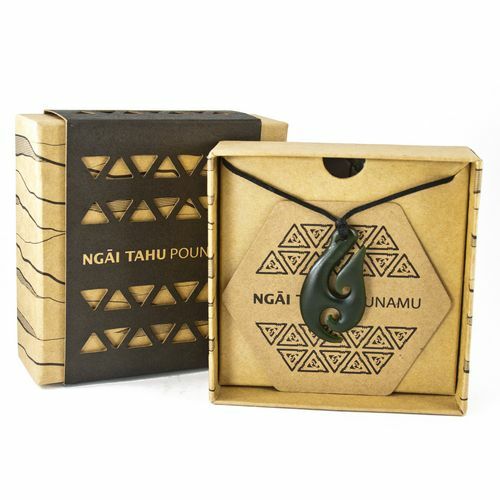 This pendant comes in an attractive presentation box, it is hung on a waxed black full adjustable cord, a meaning card and also a unique code which can be entered online so you can view the history and story of this actual piece.